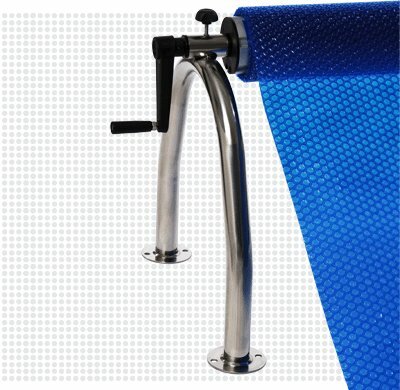 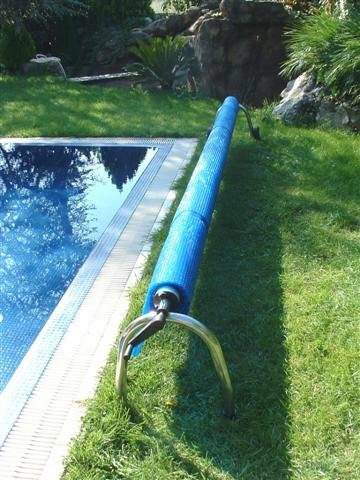 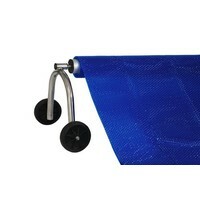 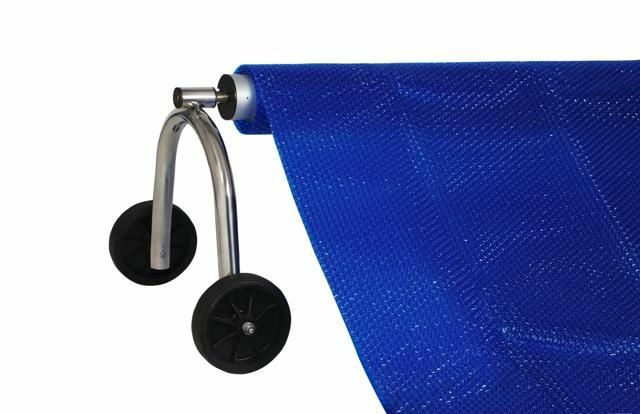 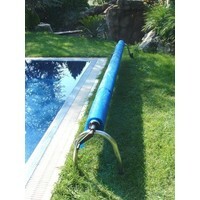 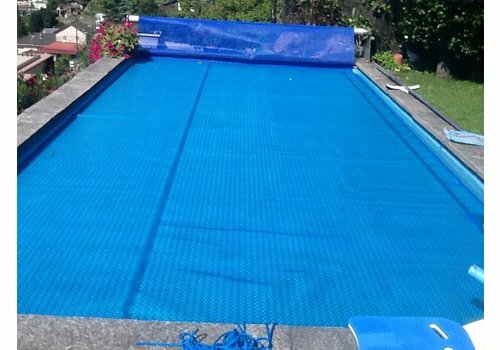 Sturdy roll-up system for swimming pool covers of air bubble tarps or PE foam 6mm. 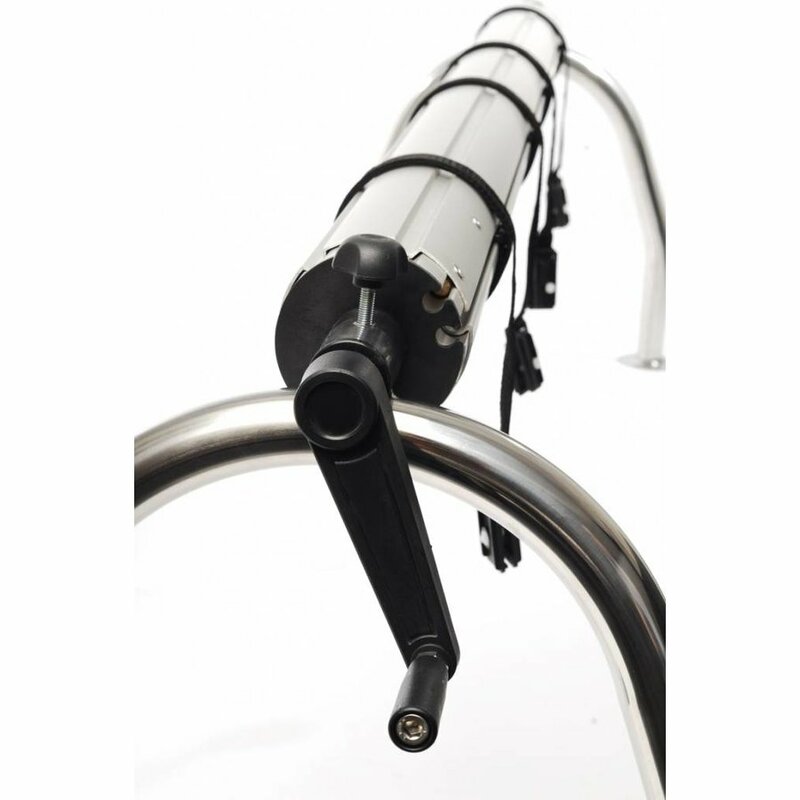 You can choose from 3 axle lengths and 3 types of supports: fixed, mobile and wall mount. 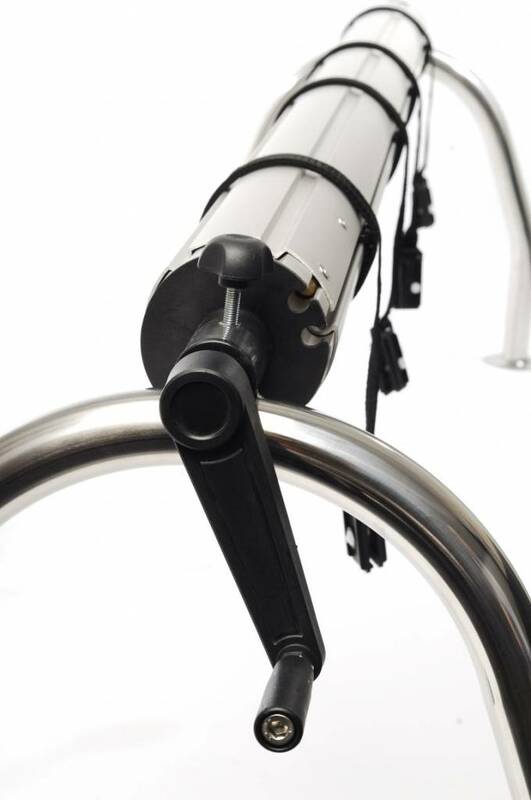 The aluminum telescopic shaft has a diameter of 11 cm. The supports are made of stainless steel.